To those new to the celtic-punk scene or those that think there’s only two (maybe three) bands in the entire world worth bothering about it may come as a surprise to say that one of the biggest (and best!) scenes around is in Indonesia but that sadly most people don’t even know it exists. With bands and followers that live and breathe celtic-punk and play some of the worlds most authentic sounding celtic music. Indonesia has a thriving underground punk scene in general but I am at a loss to explain why they would embrace celtic music and take to it so much… and play it so well! Indonesia is out there in the Indian ocean and a thousand or two miles from Australia and gained independence from Holland pretty much straight after the second world war. The country itself has a population of over 230 million and comprises nearly 13,500 different islands and is 87.2% muslim. Hugely diverse ethnically it is has more than 300 local languages but the main language is Indonesian. The Cloves And The Tobacco formed in 2006 in Yogyakarta and being inspired after hearing Flogging Molly a group of friends decided to get a band together and now ten years later that band is still together and getting stronger all the time. Yogyakarta is renowned for education and is a centre for Indonesian culture such as batik, ballet, drama, music and poetry. Taking their name from a kind of cigarette The Cloves And The Tobacco have been major players on the international celtic punk scene now for a good few years despite purely existing on word of mouth and good reviews on the internet. They released their first studio album ‘Day With No Sun’ in 2012 which went down an absolute storm with the critics and you can own a copy now for free as the band have made it available as a free download. So click on the album sleeve on the left and get your free copy now. The Cloves And The Tobacco are Adit Tongseng (Accoustic Guitar and Vocal), Pizzt (Fiddle and Backing Vocal), Abiyoga Fazri (Electric Guitar and Backing Vocal), Koro (Drum), Kojack Blues (Banjo), Fani Black (Tin Whistle) and Kahfi (Electric Bass) and they steer a path very similar to celtic-punk legends Flogging Molly. Pumped up, raucous, fast, energetic, traditional Irish music interspersed with the occasional ballad. The opening track of Across The Horizon is ‘Too Much Trouble’ and starts with electric guitar, banjo and fiddle and tin whistle blaring out loud but also crystal clear over words written by infamous celtic punk DJ, driver, poet and general all round celtic punk figure and knowitall Andrew Watts, known to many as Spider Mahone from his years in the scene in Germany. ‘You’ll Never Know’ is typical territory for the Bhoys with simply amazing musicianship going on. It’s one thing to be good musicians but you also need decent songs and The Cloves And The Tobacco have got them and have got plenty of them too. The energy is never ending even on a slower track like ‘When the War is Over’ which has a Pogues feel to it. They definitely come from the folkier/traditional side of celtic-punk but that doesn’t stop them rocking out as well and plenty of good punky influences here too. Superb banjo playing on ‘Sally O’Riordan’ where the band pick up the pace again and inject the song with a country feel while still keeping it celtic. ‘The Whiskey Tales’ is possibly the ultimate celtic-punk song on Across The Horizon. All the boxes are ticked off and for me this is the album stand out track. Shared vocal duties and gang vocals give it an amazing sound and we’re only halfway through and I’m a firm fan already. ‘Pure & Innocent’ sees them return to a ballad and again it has a Poguesy feel to it. Friend of the band Nana Nofi guesting on vocals and her lovely voice slots in perfectly with this great tune. The band sing in English throughout and the vocals are clear and easy to understand and ‘And the Rain Will Fall’ is another class song. One of the best things here is the only hint of a cover version is a few seconds of ‘The Fields of Athenry’ during ‘The Town that We Loved so Much’ that is over almost as soon as it starts. ‘The Old Harbor’ is a song about emigration and something Indonesians know only too well about. The album comes to an end with the fantastic, and also the only instrumental, ‘Across the Horizon’ brings the curtain down on this amazing record that I am 100% positive will appeal to anyone with a love of Irish music. It is ten tracks of pure celtic gold that clocks in just shy of 3/4’s of an hour and keeps up a unbelievably high standard throughout. An absolutely stunning album of perfectly produced and played celtic-punk that would go down a storm in absolutely anyone’s living room or in any bar across the world. They have taken all the positiveness of celtic punk and produced something you must all get your hands on. Not only is the music outstanding but the CD is out of this world as well. Hand produced by the band gluing and fixing the sleeves together shows how much the band care about giving their friends something special. It may be true that celtic-punk can dwell too much on the negative or the bad things in life but it can also be about the things that give us strength we must remember that. It’s not always about the music it’s also about friendship, family, resilience and community and how these things can help you survive. The Cloves And The Tobacco are a great example to everyone in the scene and I can only dream that I get to catch them live one day. Maybe Flogging Molly can be persuaded to take them under their wing. There are certainly not many bands who are more deserving. 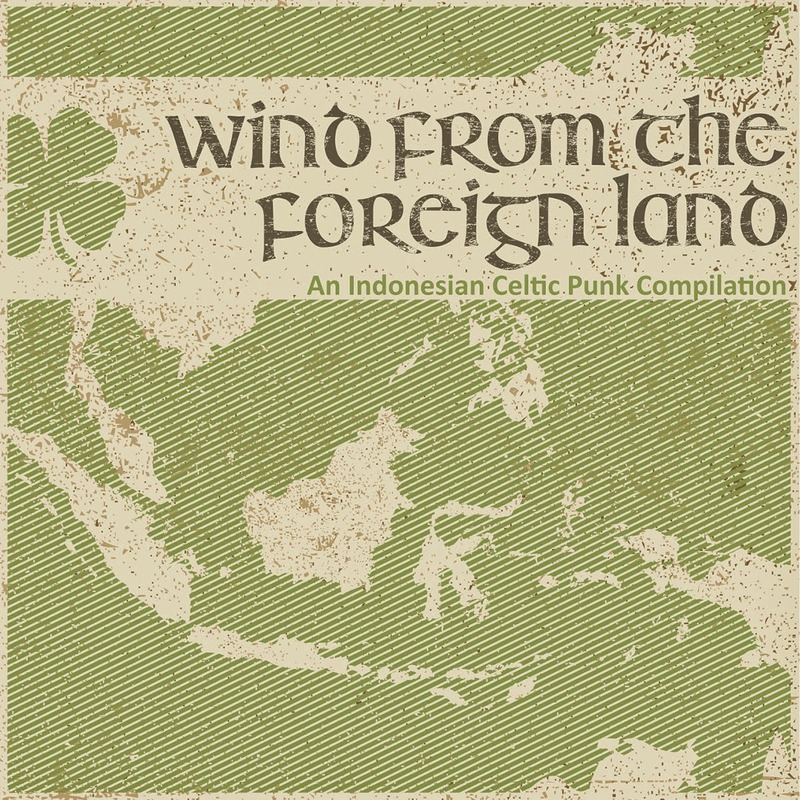 For a great overview of the Indonesian scene check out our review of ‘Wind From The Foreign Land’ (here) a compilation of fourteen tracks from fourteen different celtic-punk bands from across Indonesian. For an alternative view of Across The Horizon check out the review by Celtic Folk Punk And More here and when I say alternative I only mean in the sense that they liked it even more than we did!